refers to the process, whereby plants share resources (e.g., mineral nutrients, water, and light) which are in insufficient supply for their joint requirements . 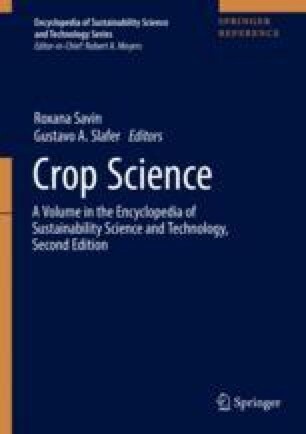 refers to the spatial, temporal, and genetic arrangement of a particular crop species or genotype within a sown area. refers to the ability of an individual plant within a crop to modify the number of vegetative and/or reproductive structures depending on the amount of available resources. is the number of individuals of a plant species in a unit of area within a crop. is the process whereby one crop species provides some sort of benefit for another species when in a polyculture. Usually, when facilitation occurs, at least one crop may positively alter the environment for the other crop .